Want to experience the best that PC gaming has to offer? Then you need GeForce RTX. To help celebrate the launch of Nvidia's latest and greatest graphics cards, HEXUS has teamed up with Palit to give all our lovely readers the chance to win a truly epic GeForce RTX 2080 GamingPro. Underneath that dual-fan shroud you're looking at a 545mm² Turing die armed with 2,944 shaders, 368 tensor cores, 46 RT cores, 184 texture units, 64 ROPs, and a 256-bit memory bus plumbed to an 8GB GDDR6 frame buffer. In other words, it's a massively fast graphics card primed for ultra-high-quality gaming. Want to be in with a chance of winning? Simply answer the following question to enter our free prize draw, and don't forget, you can also claim a second entry via Facebook. Thank you for taking part and good luck! The competition winner will be picked at random from all eligible entries that arrive by 22:00 London time on the closing date, October 18, 2018. The winners will be notified via email by October 25, 2018. The winner must claim their prize within 7 days of the promoter sending notification. If the prize is unclaimed after this time, HEXUS reserves the right to offer the unclaimed prize to a substitute winner selected in accordance with these rules. 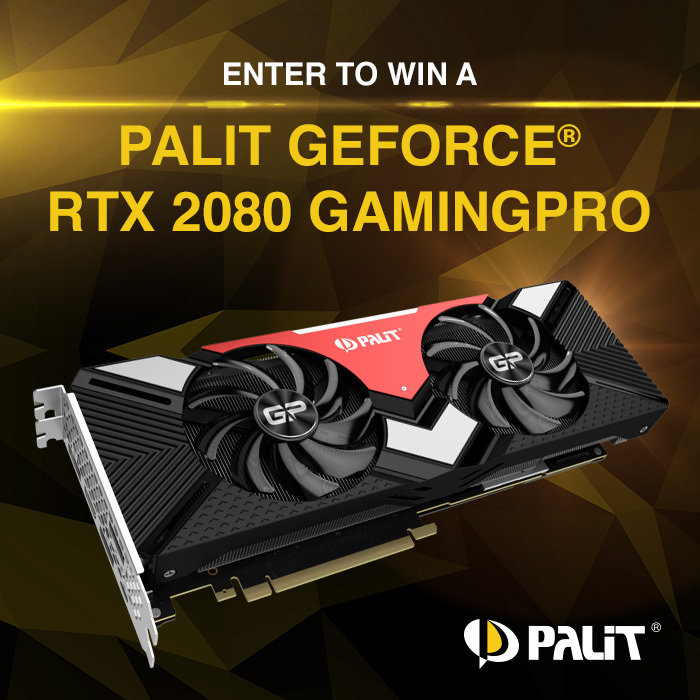 The prize is a Palit GeForce RTX 2080 GamingPro graphics card. Looks like a hard drive. Definitely a hard drive. Definitely a wind turbine see here, so my answer is power supply.